The Tubus VEGA is the smaller sibling of our LOGO. 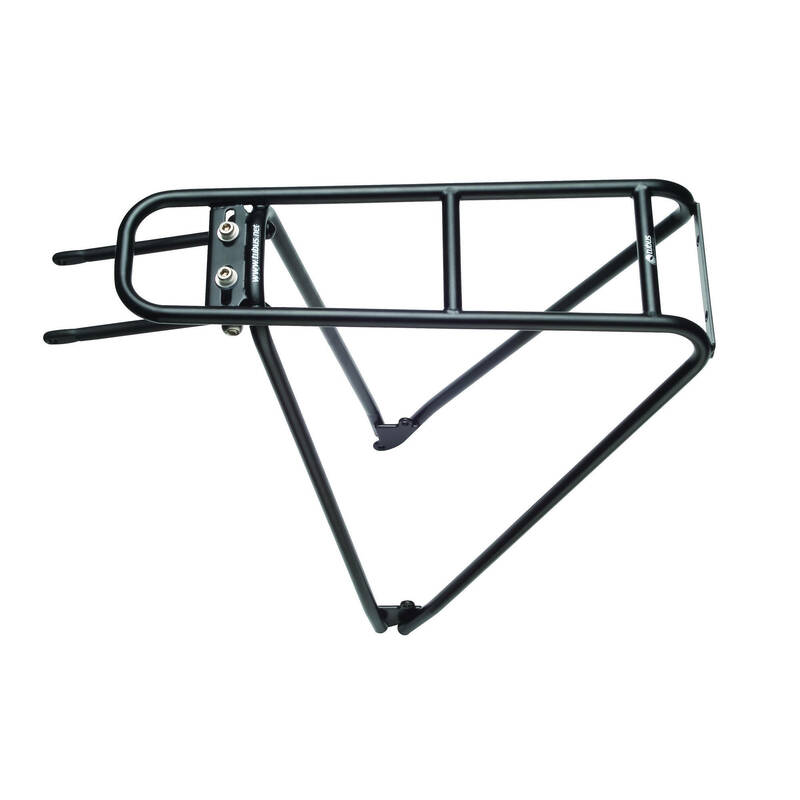 The VEGA is a low profile rear carrier & represents an extremely minimalist approach to carriers. Based on the design principles of the of the LOGO model but without the lower side-tubes, it's a carrier made for daily use & weekend trips. Its variable attachment system makes an easy installation on nearly all frame geometry combinations. Note: Having weighed a sample rack from our stock we found that this rack weighs 630g incl fittings. ConsPrice. You will find cheaper elsewhere. Very good quality rack. Temporarily fitted to 565L Thorn Nomad and the fitting alu bars supplied to attach to the frame seat strut mounting bosses are just about long enough though the bolt holes in the bars had to be carefully drilled out slightly for the mounting bolts to fit. The rack will fit over the M5/M6 adapterin at a stretch. So not an ideal rack for the Nomad but does work well now fitted. The weight of this rack is probably about 100 Grams more than stated when the mounting kit is included. We have never had your bike here to try and fit one of these racks to so we have no way of knowing for sure I'm afraid. As long as your bike has standard rack fixing points then this should fit okay as it is a pretty universal design.